In the corner setup with a glider and rocker. 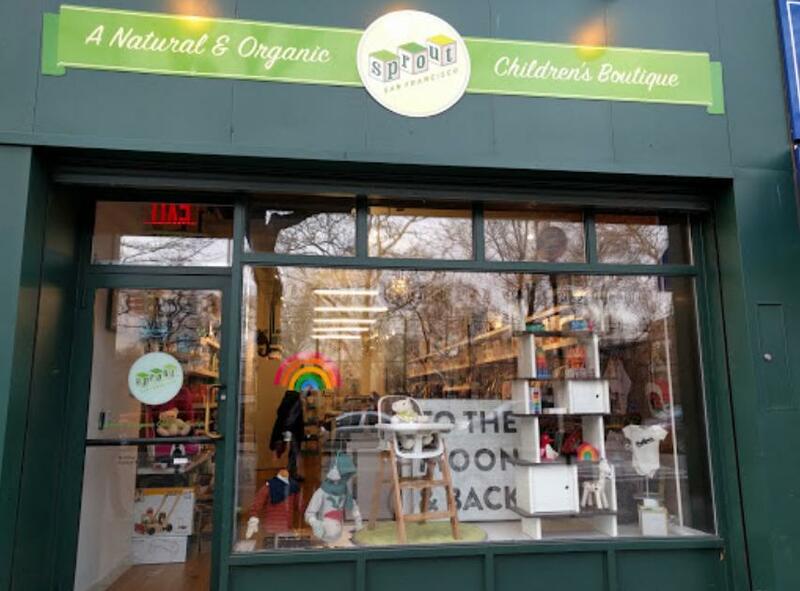 Sprout San Francisco the children's gear and boutique in Brooklyn is breastfeeding mom friendly and allow moms to breastfeed throughout the store. A cozy corner setup with a glider and rocker. Baby changer in the restroom and a baby weighing scale.